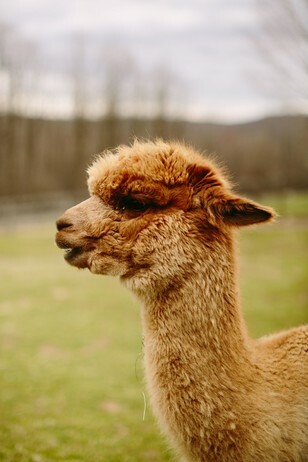 Alpacas seem to be oddly absent from high fashion these days, and we hate to see an alpaca out of work. 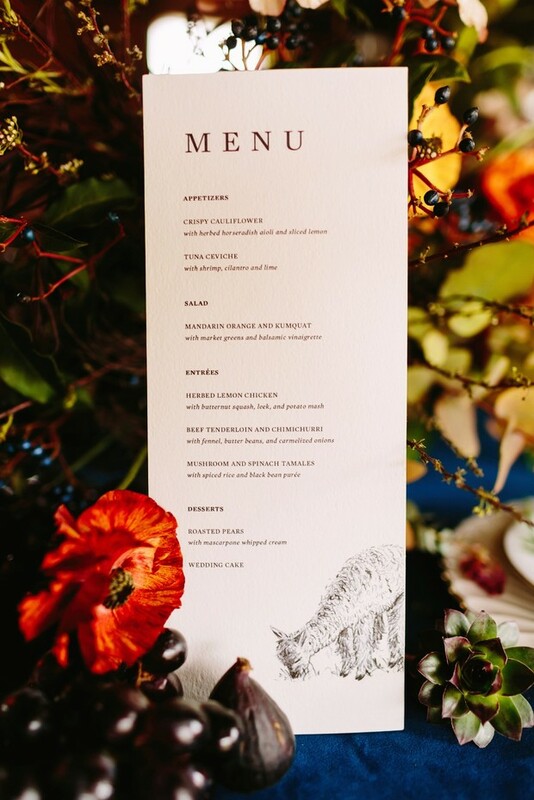 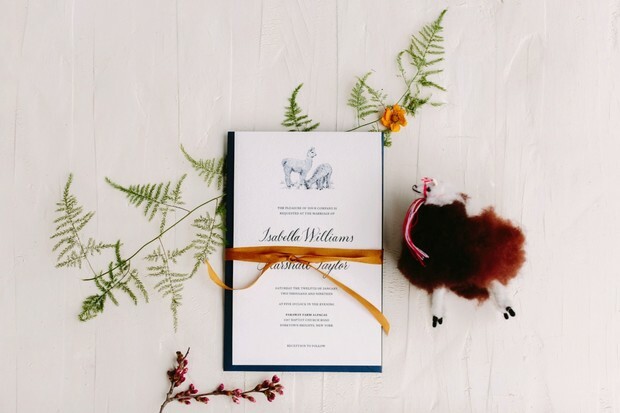 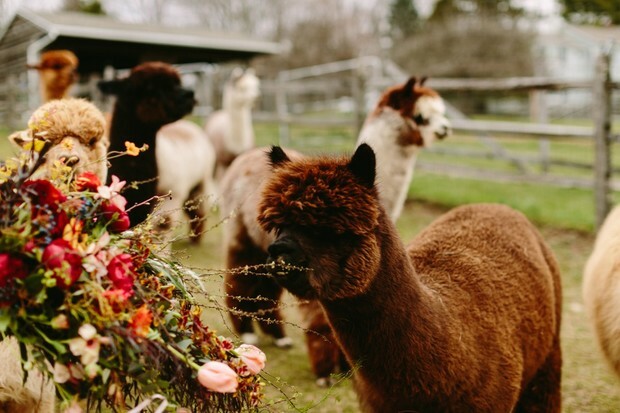 Thankfully Together Events teamed up with Karen Obrist Photography and brought together a dream team of vendors and these fuzzy llama cousins for one heck of a fun and moody Fall wedding inspiration! 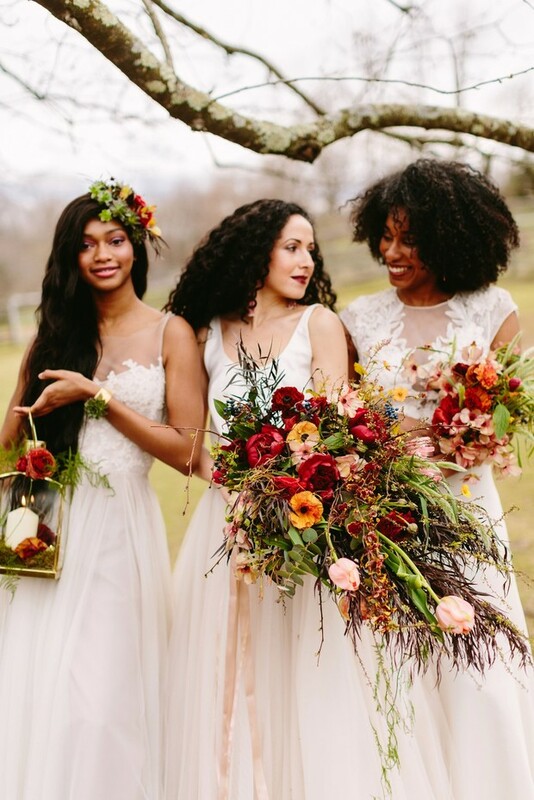 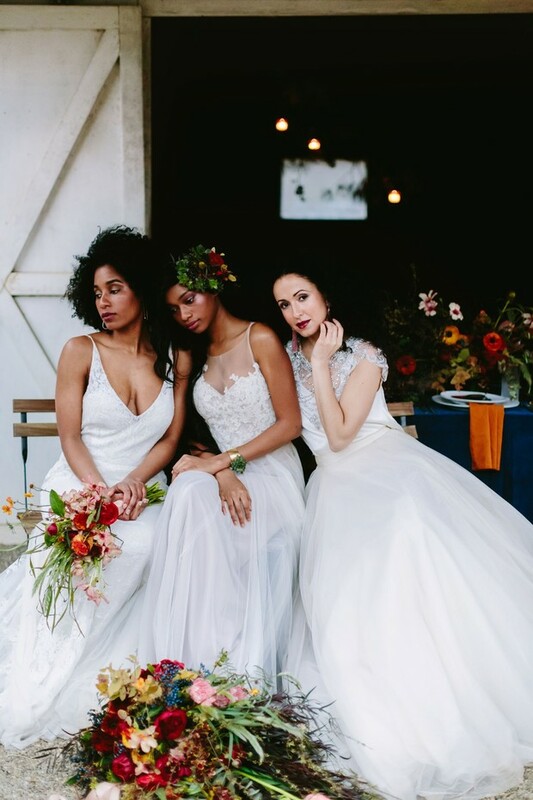 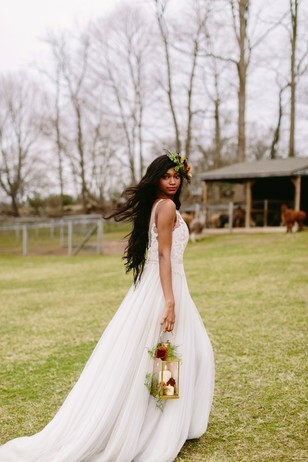 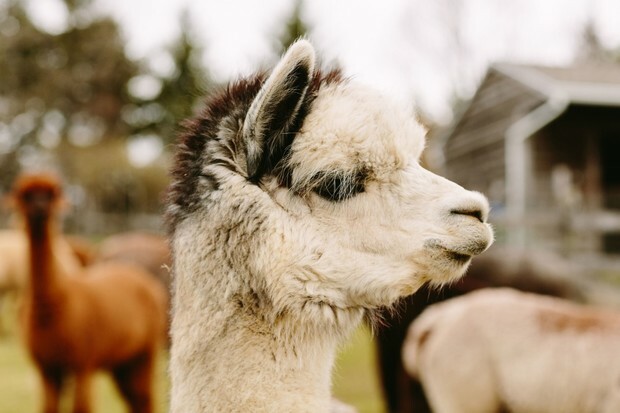 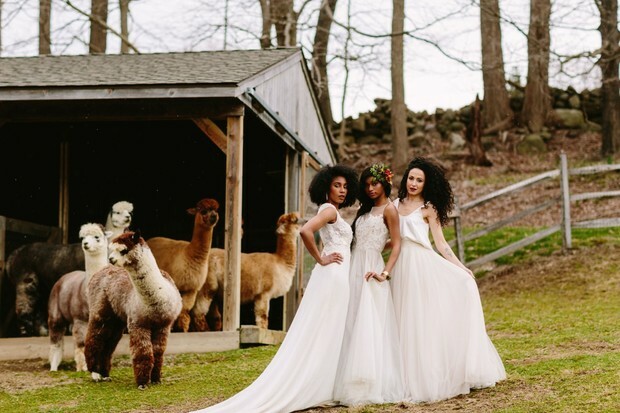 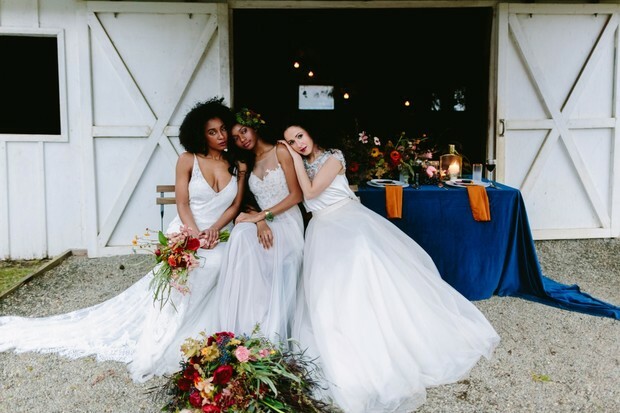 Not only will you get a whole farm of alpacas to fall in love with, but there are three brides sporting some gorgeous dresses, you are absolutely going to love. 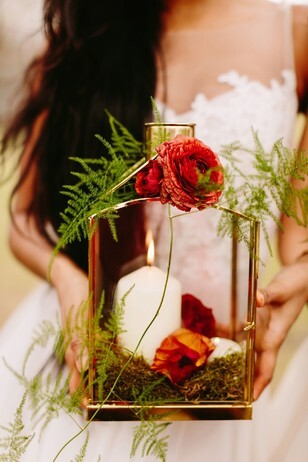 Keep scrolling to find more and as always be sure to pop by the full gallery for even more lovely images. 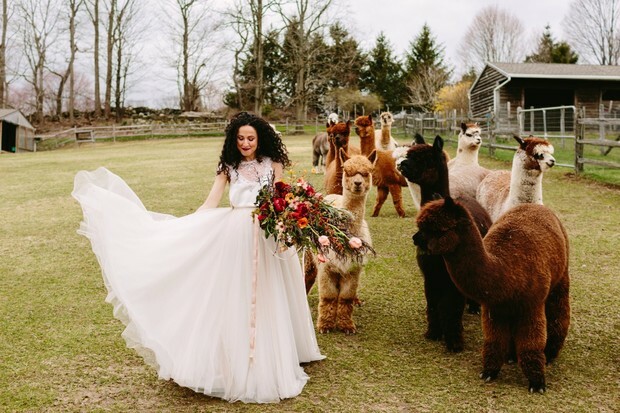 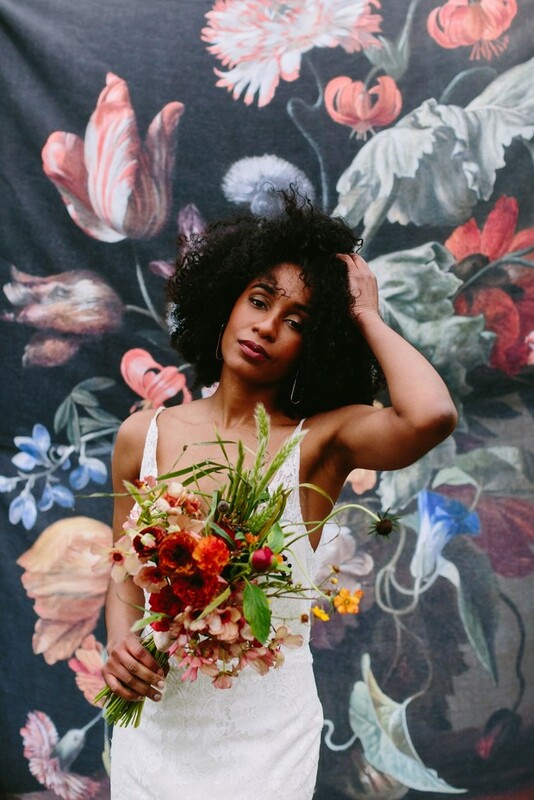 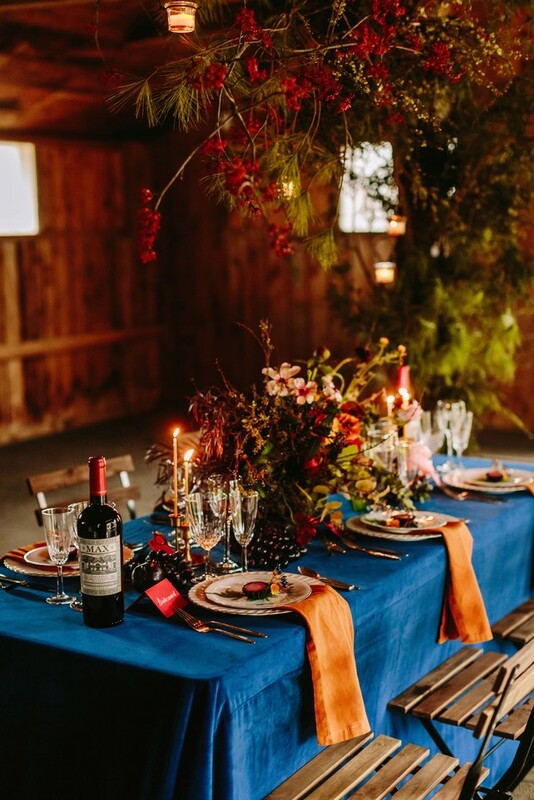 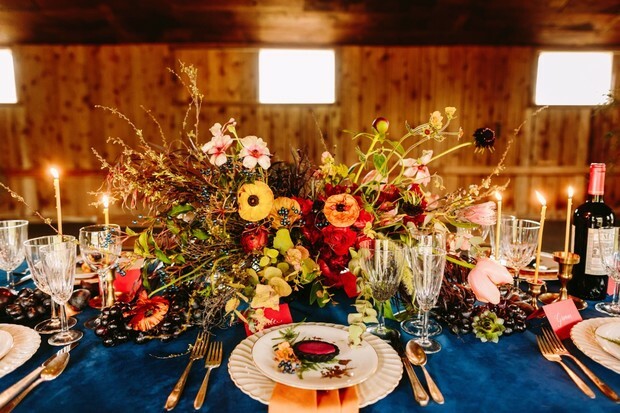 This dark & moody high-fashion-meets-alpaca-farm bridal editorial in Upstate New York features two stunning and highly detailed tablescapes, a hanging foraged branch installation, a Dutch still life-inspired photobooth backdrop, and the sweetest alpacas you ever did see. 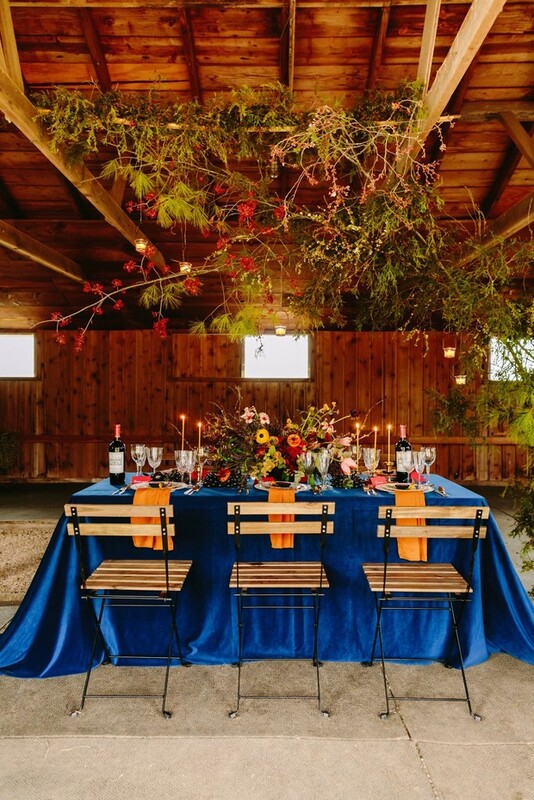 Modern styling and design meets Old Hollywood glam in this velvety farm dream. 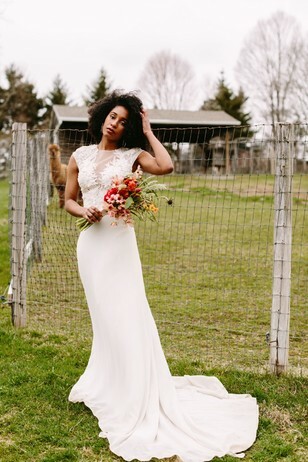 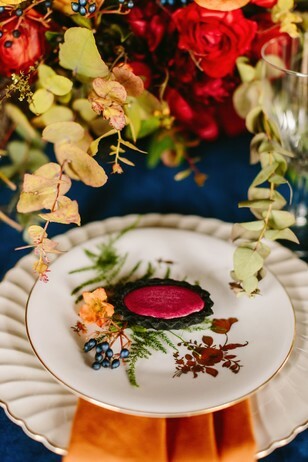 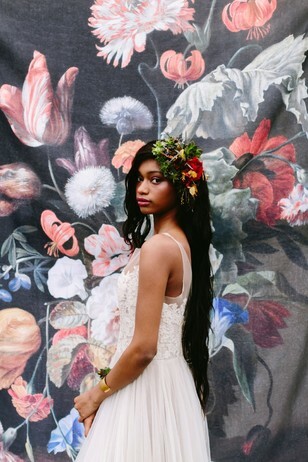 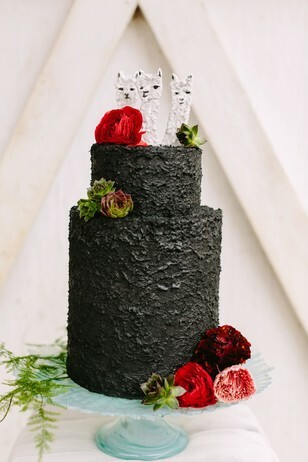 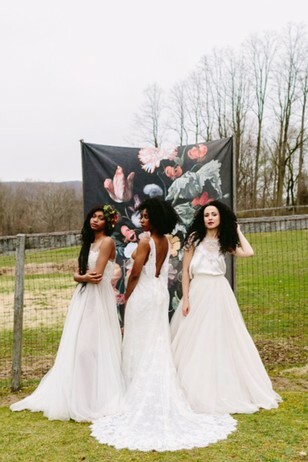 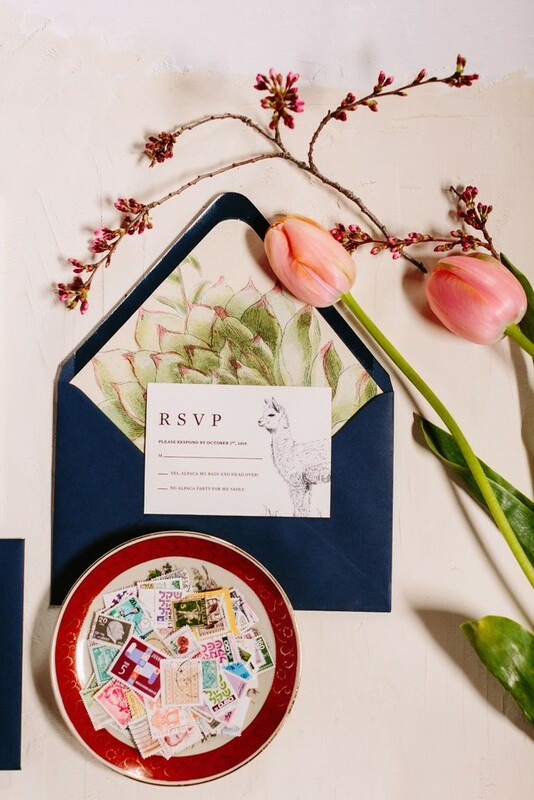 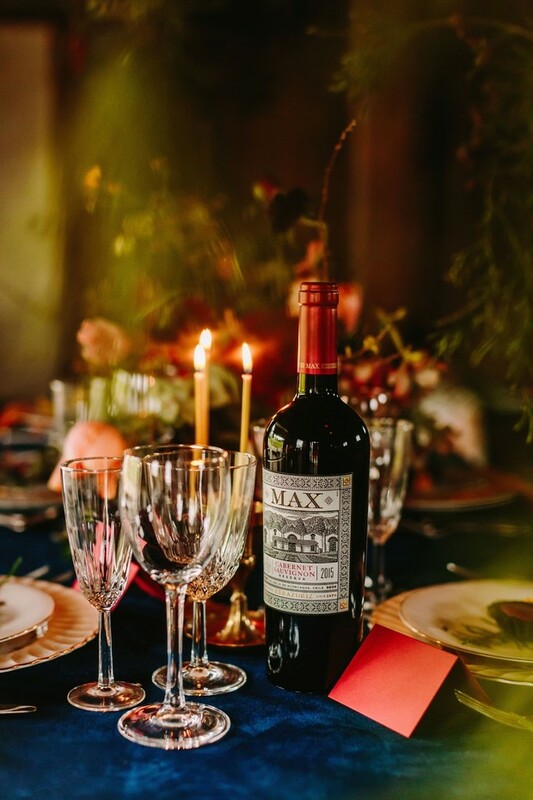 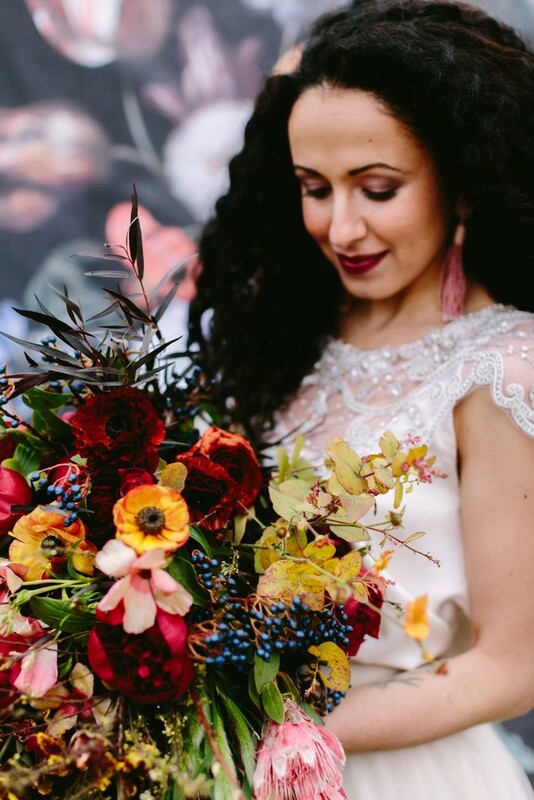 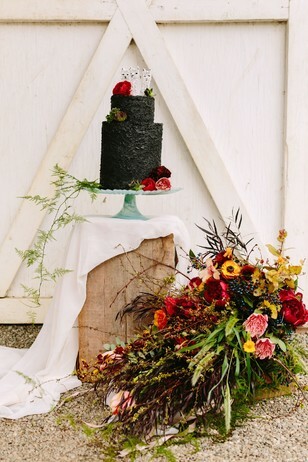 Taking inspiration from both glam 1960’s fashion ads and the natural surroundings of the family-run Faraway Farm Alpacas, the New York City-based wedding vendor team headed upstate to to create a winter wedding scene with hues of rust, indigo, and burgundy - complete with an alpaca wedding cake, illustrated paper goods, foraged florals, and a mixture of vintage and new rentals.